This walk involves a short taxi ride from the centre of Mytholmroyd (or using two cars), and will give you a fantastic panoramic views above Mytholmroyd. Because the walk is a bit uneven in places it is a bit more challenging than some of the other gentle walks. A little under 2 miles, taking 1½ to 2 hours. Most of the walk is quite flat or with gentle uphills, but the return down to Mytholmroyd (about a mile) is a fair incline. 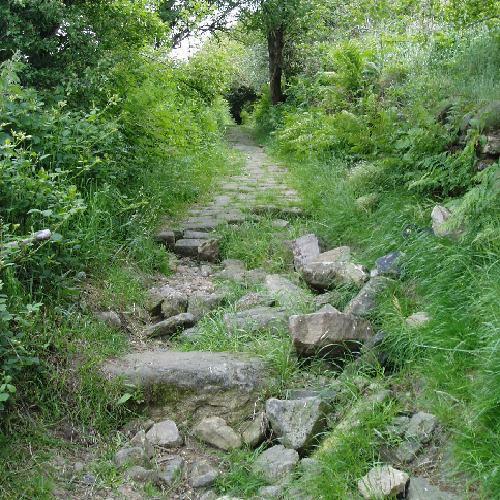 We suggest avoiding this walk after rain as the stone setts going downhill can be slippy. The first part of the walk is on a good path, but some short stretches on the lane going back to Mytholmroyd are a bit uneven. Obstacles – stiles, steps etc. 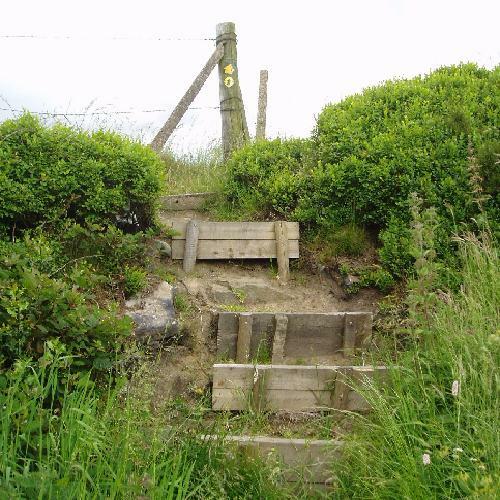 There are a couple of dismantled http://healthsavy.com/product/levaquin/ stiles to go over and one set of steps that some people may find a bit awkward. The great thing about this walk is the views you get of Mytholmroyd and the hillside above it. To get to the start of this walk which is a bit of a climb, we suggest you take a taxi from the centre of Mytholmroyd or Hebden Bridge (about £5). The two taxi firms are Valley Taxis Tel 01422 844070 or Calder Valley Taxis Tel 01422 885544. Ask to be put off at the top of Scout Wood (which is up Scout Road). If you have two cars, you can leave a car at the beginning and end of the walk. Just after the trees peter out on Scout Road, on your right you will see two finger posts which is the start of the walk. 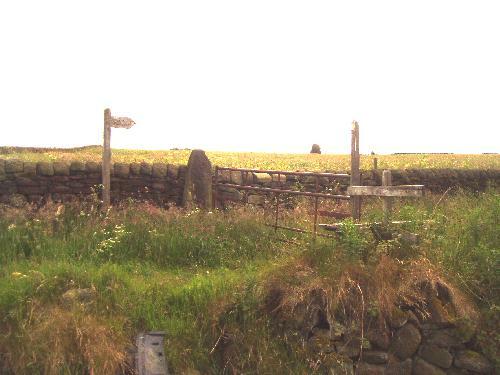 Ignore the yellow waymarks and go over the stile or through the gate (it is usually open) and take the path in front of you with a stone wall on your left and trees on your right. The path has quite a gentle incline and after about 200 yards the wall ends and you go through a gap next to a metal gate. The path continues ahead (still going up hill) around the edge of a field, but the fantastic views emerging through the trees make it well worthwhile. A little farther on you cross a low stone stile and we suggest that you stop and look back – it is a pretty amazing view. The path continues straight ahead with the fence and the trees still on your right (you have to negotiate a dismantled stile which is a bit uneven). The fence curves round to the left (another stop to admire the view of Hebden Bridge and Heptonstall) and after crossing another dismantled stile, eventually the fence stops. Here you have to go down half a dozen steps to drop down to a lane. The steps are sound but they are a bit uneven, so take care. You turn right on to the track (called Stake Lane) which is a very old track that comes from Sowerby and now descends back into Mytholmroyd (the track is about a quarter of a mile and is downhill all the way). It is a very attractive route with old hedgerows; parts of the track have large packhorse stones and some of it is cobbled. Because it hasn’t been maintained, some of it is now un-made and a few short sections are quite uneven, also some of the sets can be slippery after rain – take it steady. After about 10-15 minutes the lane emerges on to a tarmac junction where you go straight ahead (ignore the first turning to the right) and then take the second right turn down hill. 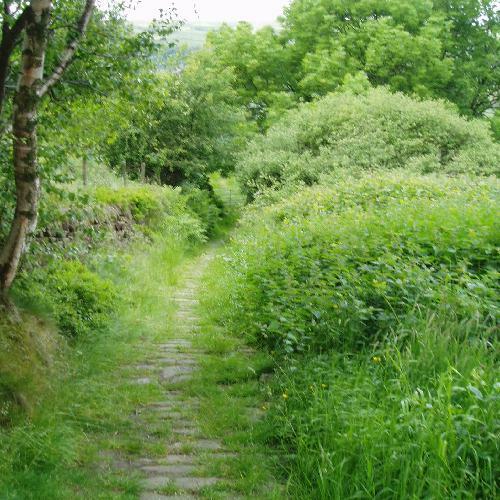 This is a lovely stretch that brings you out into a backwater of Mytholmroyd, sometimes called Stubbings. Ignore left and right turns and keep going downhill until you reach the Methodist Chapel and the junction with Scout Road. You turn left here, but look at the 17th century house in front of you and, in particular the drip stones above the window. After a few yards, you reach the junction of the main Cragg Road where you turn right. Couple of hundred yards, past the station and over the River Calder, you are back in the centre of Mytholmroyd. Time for some well deserved refreshments. The leaflets can be found in Mytholmroyd shops, pubs and library, at the local caravan park and camping shops, and at the Tourist Information Centre in Hebden Bridge.